Snakes are the most common animals in Kentucky, and despite the common reputation, they are beneficial for the environment. On the other hand, the fear of people and the increased environmental problems reduced the populations of snakes dramatically, and even if Kentucky is still a state where snakes can leave peacefully, some species might disappear in the future. There are more than 30 snake species in Kentucky, and only 4 of them are poisonous. Moreover, the majority of them live in non-populated areas, like the deep forests and the rocky and sunny areas. this is why accidents rarely happen. However, you must be able to identify the poisonous snakes when you see them. All the venomous snakes from Kentucky are a part of the Viperidae family, commonly known as vipers. We are talking about the Copperhead, the western Cottonmouth, the Timber Rattlesnake and western Pigmy Rattlesnake. The majority of them are non-aggressive, and they prefer to hide from humans. you can easily distinguish them because of their vertical pupils, and also because of the scale at the top of the tale that is placed on only one row. Don’t use the vibrating tail as a method to identify a poisonous snake. Some non-poisonous species also have this ability, and many non-venomous species are extinguished because people confused them. Don’t touch a venomous snake even if it is dead. The body can have a bite reflex, and the bite is also poisonous. The snakes will never attack you unless provoked or harassed. The best idea when you see a snake of this kind is to leave it alone. The best method to treat a bite of a poisonous snake is to prevent it. leaving the jokes behind, if you are close to a hospital, you should go there immediately. Cutting the wounded area, sucking the venom or electric shocks were proven as ineffective, and the anti-venom serum is the only demonstrated cure for this problem. 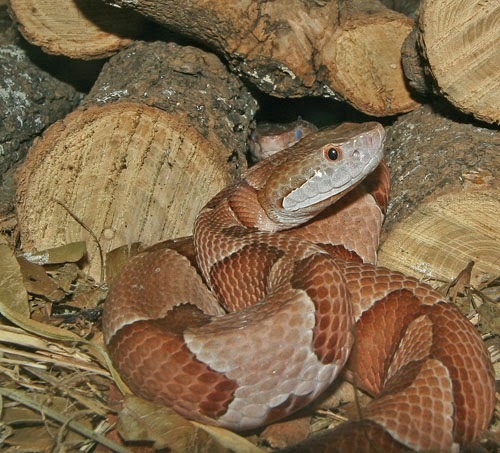 The Copperhead is usually mistaken with other species of non-venomous snakes. The best method to identify a snake of this specie is to look at the chestnut cross bands that have the shape of a bow. 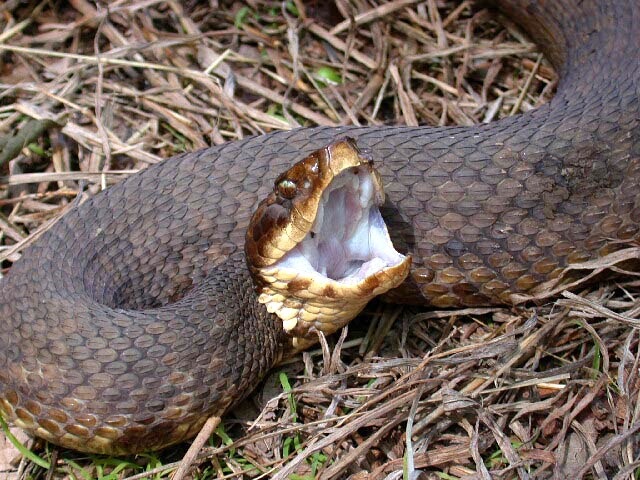 The western Cottonmouth is a common dark colored snake that looks like the copperhead when he is young. It has no margins and a single color, making it hard to identify. The water snakes looking the same will quickly hide in the water when approached, while the cottonmouth will take a defensive stance. In fact, this is the best method to identify the cottonmouth, as it is the only aggressive poisonous snake. The rattlesnakes are also poisonous, but unlike the cottonmouth, this snake hides when approached. However, this is the largest snake from this family, and this is why people fear it the most. 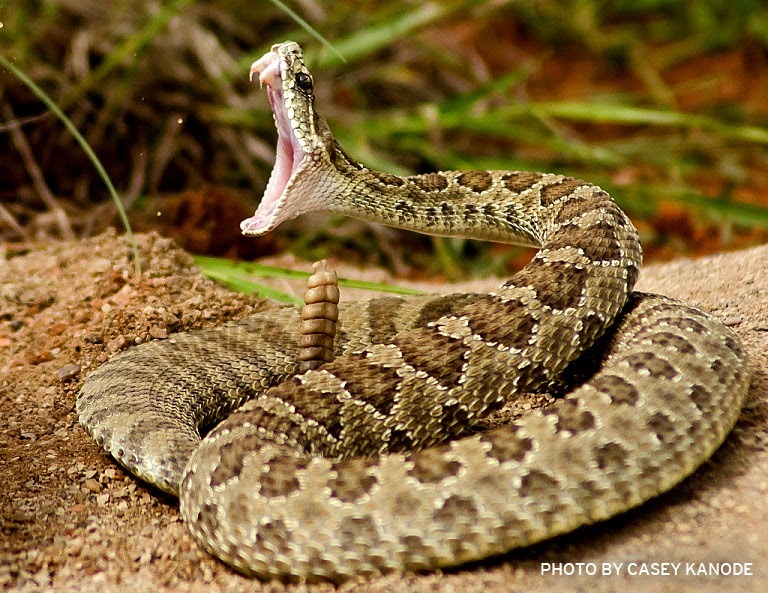 The Rattlesnake gains one rattle each time they change the skin, but the rattles might fall, so it is not an accurate method to determine the age of a rattlesnake by counting them. the other snakes from Kentucky are not poisonous, and they are a part of the family Colubridae.